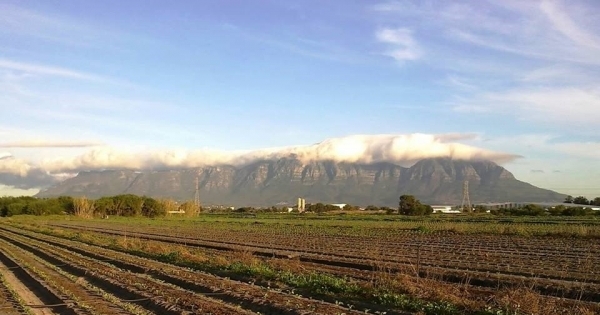 The Philippi Horticulture Area (PHA), the unique 3,000ha farmlands located within the city of Cape Town and in the heart of the Cape Flats has been the city’s breadbasket since 1885. CapeTown’s food security, water security and climate security depends on it! Where will our food and water come from when silica sand is exhausted and farmlands are paved over by roofs and roads, and the most unique agricultural land in the world is a hole in the ground filled with water? The PHA is a unique horticultural area producing over 150 000 tonnes vegetables and flowers per year. The PHA employs almost 4 000 workers mostly from vulnerable groups such as women and youth. This has the potential to increase. The PHA soils are the sink for atmospheric CO2 and CH4 in the city. Soil purifies aquifer water and is a natural reservoir for water and atmospheric carbon. In this way PHA helps with climate change mitigation and adaptation. Right to food. Local government is required to progressively realise the right to food. Right to have the environment protected. For the benefit of present and future generations. Right to water security. National Water Act (Act No 36 of 1998) prescribes that water requirements for aquatic ecosystems and basic human needs be reserved before allocation for other uses. Right to good health. Malnutrition is a direct result of lack of access to vegetables and affordable, nutritious food. [s33] of the Constitution and the Promotion of Administrative Justice Act, 2000 (PAJA). All administrative decisions, such as granting environmental authorisation and making planning decisions must comply with all of the relevant considerations taken into account by the decision-maker.